And it has to be done in less than 200 days! Jayajit Dash reports from Bhubaneswar. The Union government recently announced 100 per cent electrification of all villages before schedule. But states, especially the non-special category ones, are saddled with a bigger worry to electrify all households by December 2018, as mandated by the Centre's Saubhagya scheme. The country still has 312 lakh (31.2 million) non-electrified households. Of this, the special category states have 33 lakh (3.3 million) households to cover whilst the non-special category ones will have to electrify the rest. The funding requirement for SCS households is pegged at Rs 4,500 crore (Rs 45 billion). Such states would be granted 90 per cent of the funding requirement and hence, they will find it easier to achieve the electrification targets because of access to funds. In contrast, non-SCS states need funds of around Rs 15,000 crore to Rs 18,000 crore (Rs 150 billion to Rs 180 billion) over the next seven months to electrify the balance households. 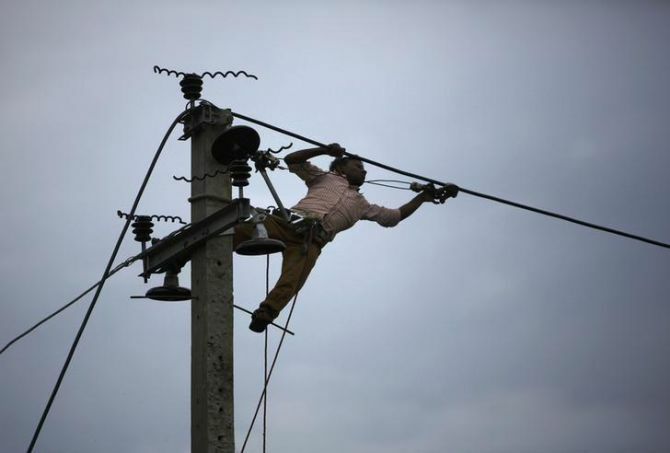 A report by CARE Ratings says state discoms (distribution companies) with high outstanding UDAY (Ujwal Discom Assurance Yojana) bonds and poor operational efficiency would find it difficult to quickly create infrastructure and ramp up the transmission network for ensuring last-mile connectivity. Between them, Uttar Pradesh, Bihar, Odisha and Jharkhand have almost 220 lakh (22 million) non-electrified households and would find it tough to achieve the Saubhagya scheme targets by December. 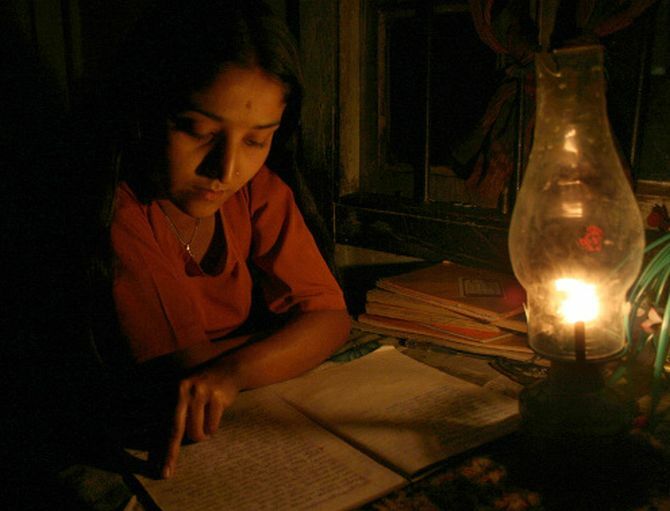 UP alone has 132.5 lakh (13.25 million) non-electrified households, 42.4 per cent of the country';s total. The state is also amongst the top three power consuming states. UP is followed by Bihar with 32 lakh (3.2 million) non-electrified houses. Odisha, Jharkhand, Rajasthan, Assam and Madhya Pradesh have over one million non-electrified households each. Discoms in UP and Bihar continue to lag on operational parameters, the report by CARE Ratings says. Both Bihar and UP have steep AT&C (aggregate technical and commercial) losses at 36.8 per cent and 31 per cent respectively. A high AT&C loss is a pointer to a discom's lower collection efficiency and lesser revenues which lead to mounting losses and affects the company's fundraising capacity. UP along with Rajasthan account for 52.4 per cent of the UDAY bonds issued at Rs 121,000 crore (Rs 1.21 trillion), of the total UDAY bonds issued worth Rs 233,000 crore (Rs 2.33 trillion). Telangana, Madhya Pradesh and Odisha also have sizeable amounts of outstanding UDAY bonds. The bonds were issued to cut interest cost on discoms while they improved on their operational efficiency. 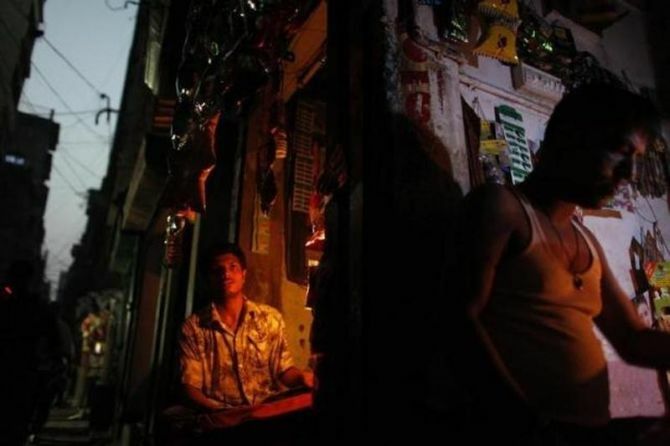 For discoms with mounting losses, arranging Rs 15,000 crore to Rs 18,000 crore is an immediate challenge unless state governments or financing agencies such as the Rural Electrification Corporation provide for it. Since the introduction of the Saubhagya scheme in September 2017, 54 lakh (5.4 million) households have been electrified. With barely 200 days left to achieve the target for electrification of the balance households, almost 150,000 households need to be electrified each day. The Union government has allocated Rs 21,550 crore (Rs 215.5 billion) for the electrification scheme. Out of the total outlay, Rs 2,750 crore (Rs 27.5 billion) is set aside for the Saubhagya scheme and the residual funds for implementing Deen Dayal Upadhyaya Gram Jyoti Yojana. An energy superpower? Not India!